Home / How to Generate EasyPost SCAN Forms with ELEX WooCommerce EasyPost Generate SCAN Forms Add-On? This article explains the step-by-step tutorial to Generate EasyPost SCAN Forms with ELEX WooCommerce EasyPost Generate SCAN Forms Add-On. For more information on the plugin, refer to the product page. EasyPost is a flexible, modern tracking API that makes it easy to add tracking and shipping to your app. You can use an EasyPost label to ship with any of the supported carriers. All other API calls to EasyPost are free. For USPS, all accounts receive a USPS Commercial Plus Pricing, and EasyPost charges you directly via bank account or credit card for anything you ship. For UPS and FedEx your carrier account information in minutes via EasyPost website. All billing for packages will continue through your carriers with your negotiated rates. 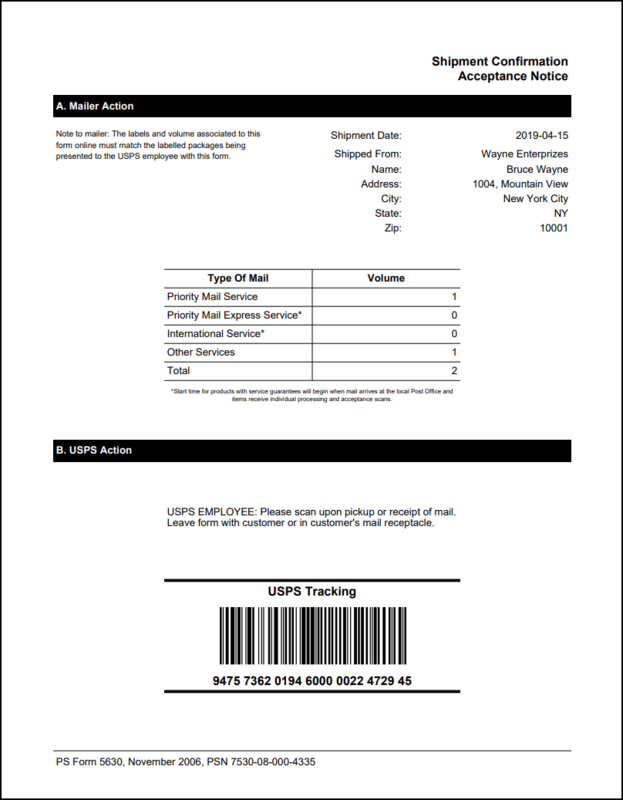 Shipment Confirmation Acceptance Notice (SCAN) Form is a single form containing a master barcode which links all the shipping labels you have printed for the packages, that are ready for drop off or pick up service. Once the master barcode is scanned, it will show the package volume to be picked up. Hence, it should match the shipment notice and the number of packages you have to be picked up. If it does not match the volume, the packages will still be picked up and shipped. This Add-On works only with ELEX WooCommerce EasyPost Shipping Plugin with Print Label & Tracking which allows you to access real-time rates from FedEx, UPS, & USPS, print shipping labels, track shipments and helps in packing items into boxes. With this add-on, you’ll be able to generate USPS SCAN Forms for EasyPost and email them to desired recipients. ﻿﻿﻿﻿﻿ Or continue reading the article. Generating USPS SCAN Forms for EasyPost: You can make use of SCAN Forms for shipping packages, instead of shipping labels that are time-consuming to process shipments. Email SCAN Forms: Specify desired email addresses to send a copy of SCAN Form with Order ID and Tracking number. 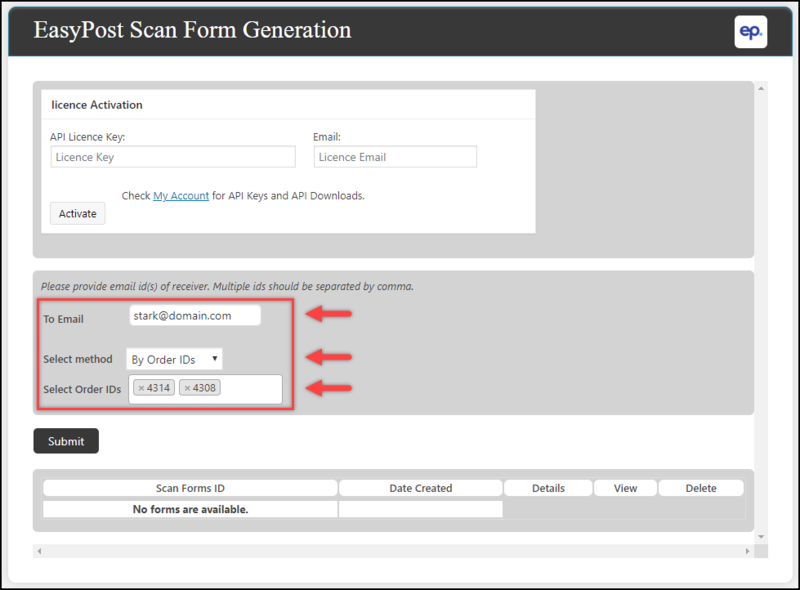 Generate SCAN Form for multiple orders: You can select one or more WooCommerce orders to create SCAN Forms. Generate SCAN Form for a Date range: You can select a date range that will allow the add-on to generate SCAN Form for all the orders between the date range. The core settings are determined with the ELEX WooCommerce EasyPost Shipping Plugin and not the add-on settings. Hence you need to set up the ELEX WooCommerce EasyPost Shipping Plugin first and then proceed with generating SCAN Forms. Once the add-on is installed and activated, you can navigate to Dashboard > WooCommerce > EasyPost Scan Form Generate. Remember: Although the ELEX EasyPost Shipping plugin provides real-time rates and services for FedEx, UPS, and USPS, this add-on can only create SCAN Forms for USPS. This is because SCAN Forms are not required for FedEx and UPS. Now that we have explored the features of the add-on, and have installed it, let’s get down to generating the SCAN Forms. Before you get down to generate SCAN Forms, you must create shipments for all the orders for which you are generating SCAN Forms. 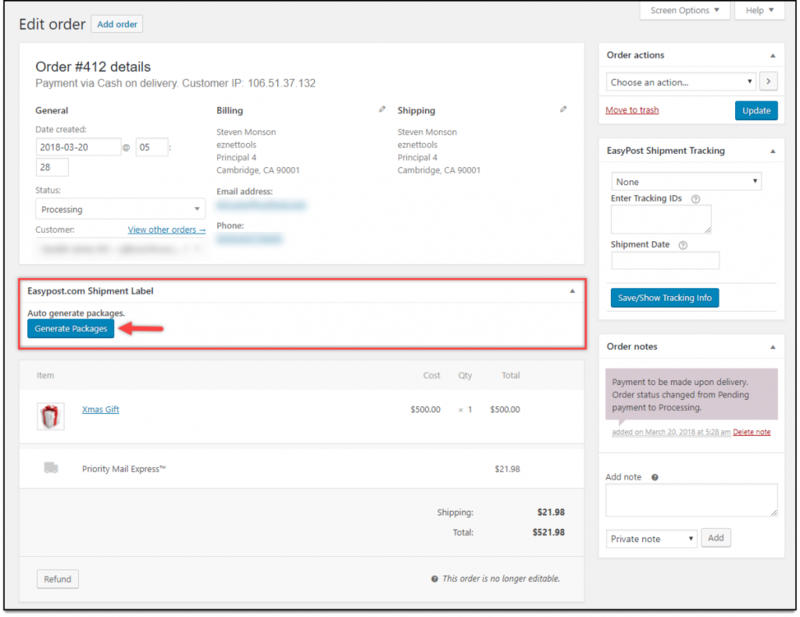 Once your customers place an order, move to your WooCommerce admin order page. Once the shipment is created for an order, it is time to generate respective SCAN Forms. 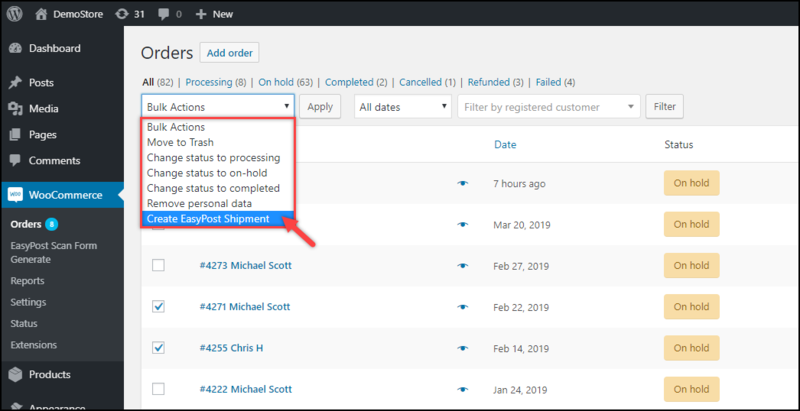 If you want to create shipments in bulk, you can select multiple orders in the WooCommerce Orders dashboard, and select the bulk action as “Create EasyPost Shipment“, as shown in the screenshot below. Go to WooCommerce > EasyPost Scan Form Generate settings. To Email: Enter recipient email addresses for whom you want to send a copy of the SCAN Forms. The email will also contain SCAN Form ID, Order ID, and Tracking number. You can enter multiple email addresses by separating them with commas. Order IDs: Select one or more WooCommerce order IDs for which you want to generate SCAN Forms. Order Date Range: Select start date and end date range for generating SCAN Forms. The SCAN Form will be created for the orders whose shipments are created and fall under the date range. Make sure the shipment is created for the selected orders. Else, the add-on will abort generating the SCAN forms process. Let us enter a recipient email address and select two orders for which SCAN forms have to be generated. The sample settings are as shown in the screenshot below. Once you click on Submit button, the add-on will generate SCAN Form and will list in the table, as shown in the screenshot below. The table shows SCAN Form ID, Date of creation of SCAN Form, Quick Details option, Viewing SCAN Form PDF option, and Delete option. 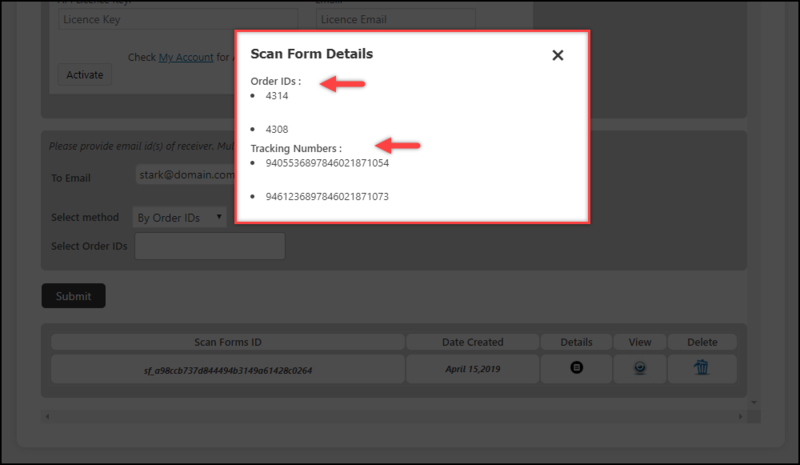 The quick details option will show Order ID(s) and tracking number(s) associated with the respective SCAN form, as shown in the below screenshot. 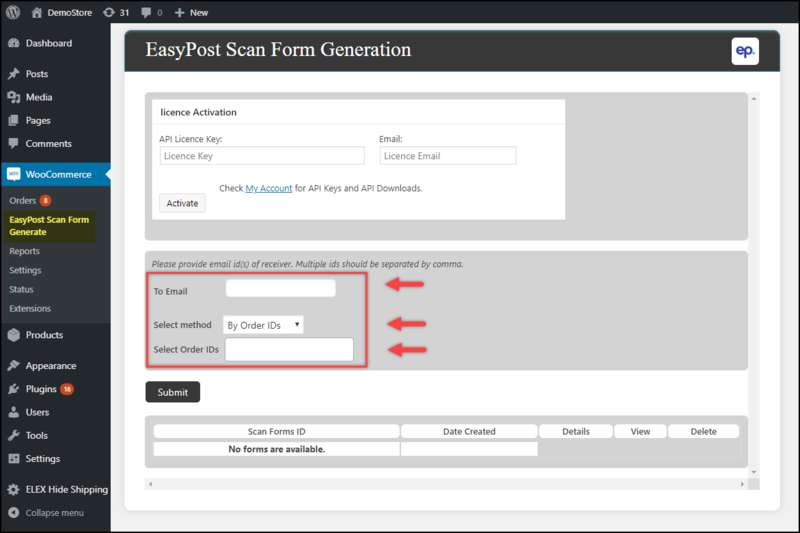 Below is a sample SCAN Form generated based on the above demonstration, with ELEX WooCommerce EasyPost Generate SCAN Forms Add-On. To explore more details about the add-on, go check out ELEX WooCommerce EasyPost Generate SCAN Forms Add-On. Or check out the parent product – ELEX EasyPost (FedEx, UPS & USPS) Shipping & Label Printing Plugin for WooCommerce and its product documentation for a better understanding of the plugin.